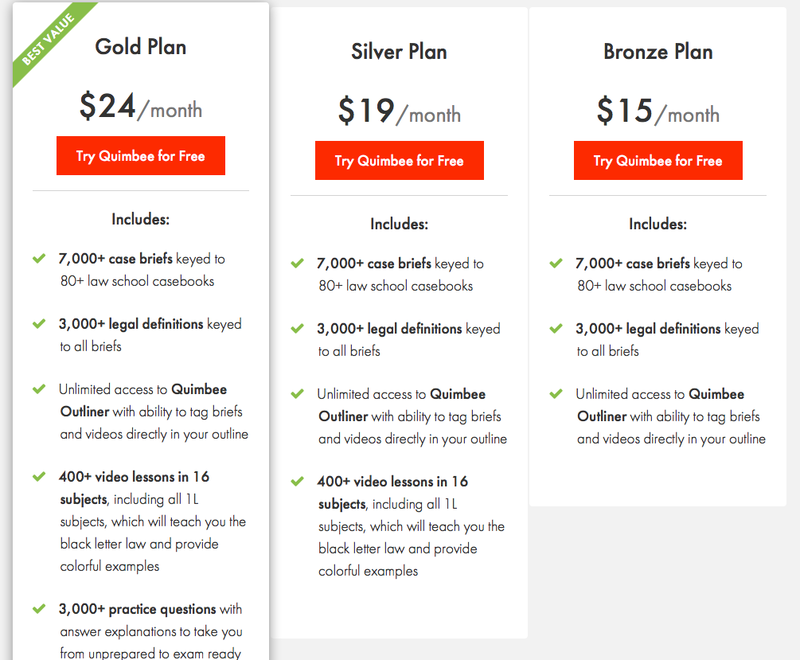 I've been getting a lot of questions from nervous readers wanting me to explain more in detail some of the tools that I've recommended based off my experience as a 1L, so I thought I'd start with this post to explain why I like Quimbee. 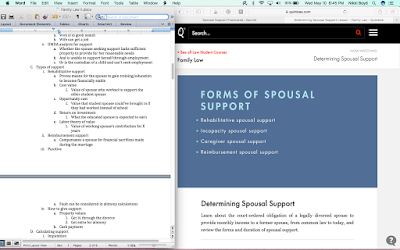 As far as study materials goes, Quimbee is kinda pricey, but I personally use it almost every day. 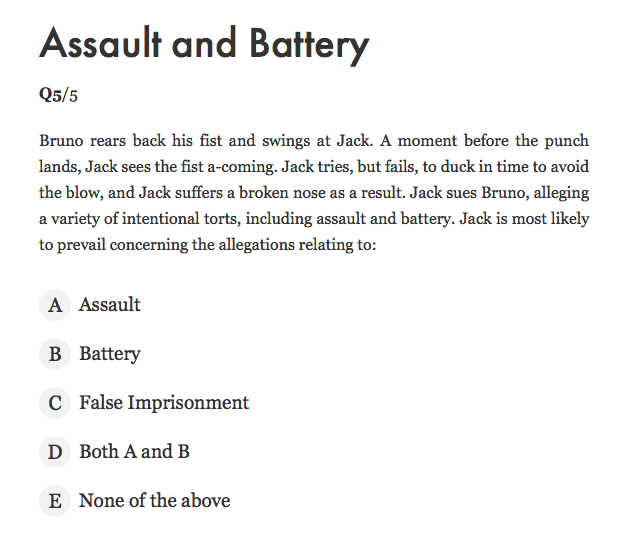 It gives really good summaries of the cases in your book and the quizzes are pretty spot on. 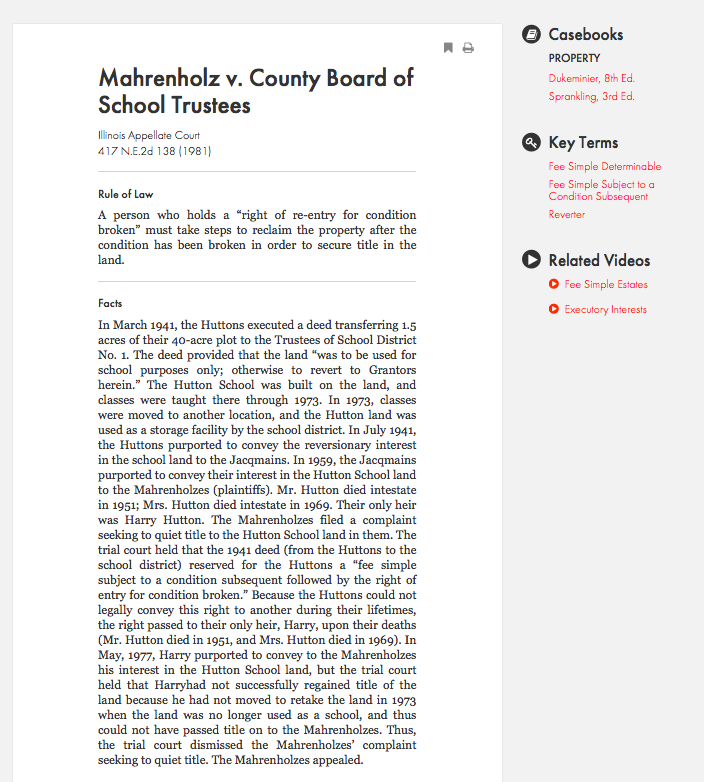 I was introduced to this site by a 2L who said that it was the only "study guide" he used. We were talking about this during a lunch break, so we had time for him to pull it up and show me it on his computer so I could play around with it. 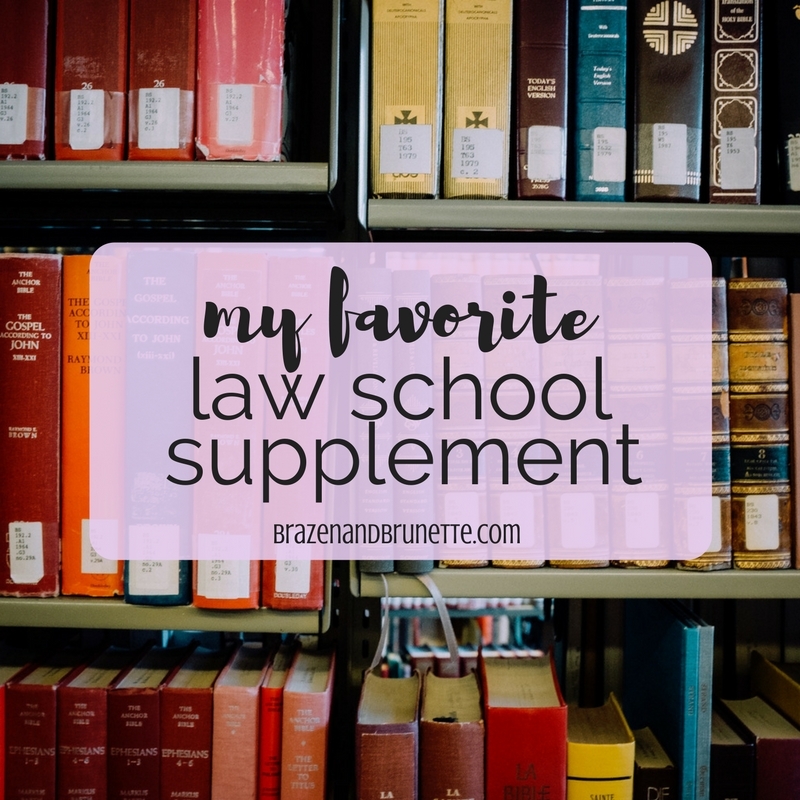 I'll admit, at first I thought that I could make it through without using a supplement, and I especially didn't want to pay for a supplement; but, I started to notice a lot of my classmates were using it and it seemed like it had everything I needed. So eventually I broke down and made the commitment to pay the monthly fee for the Gold plan, which is the most inclusive. I decided to go all-in at least for my first year because they have material covering Civil Procedure, Constitutional Law, Contracts, Criminal Law, Property, and Torts (so basically all of your 1L classes). I figured I could at least get the biggest plan as a crutch my first year and then as I figure things out, I could change down to a cheaper plan later. It turned out that they had all of my books except for my Contracts book (which is now being added because enough people requested it) and my Torts book (which was written by a professor at my school so it's not a common Torts book). 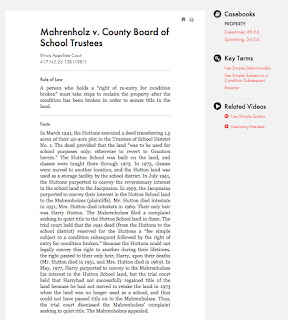 What you do is click on which class you're taking, and there they have all of the casebooks on that subject, with case briefs (or IRACs) for each one. 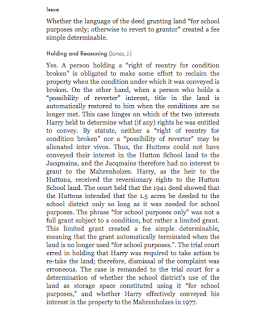 Here's an example of a brief I did in Property for class before I had Quimbee, and what they have. 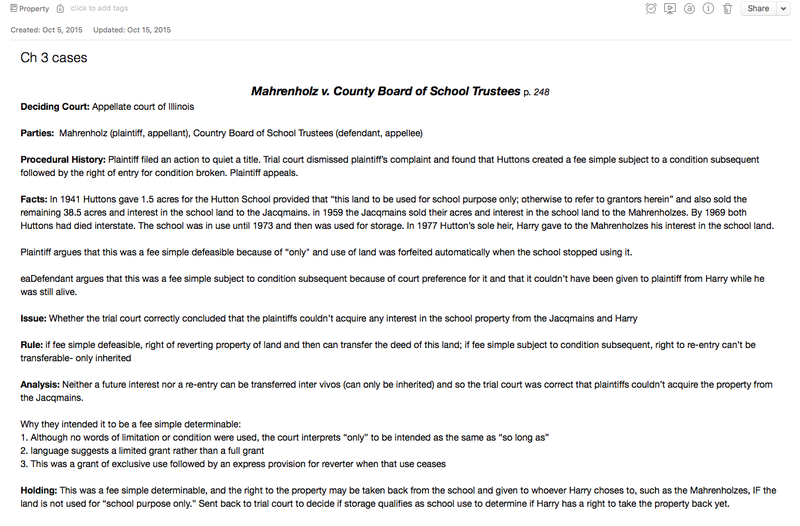 Theirs is a little more extensive than mine so I had to take two screenshots for y'all to see it, so sorry it looks all weird. Obviously theirs is much more detailed than mine. 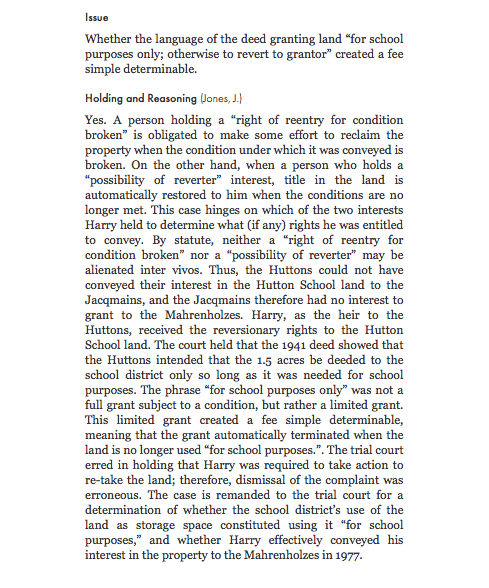 This is why I stopped writing case briefs after I read, because I had already highlighted in the book as I was reading it and they did a much better job than me. 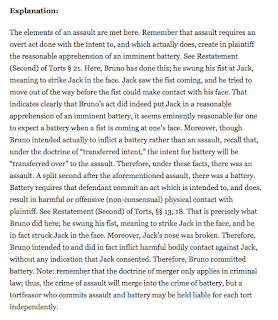 I know that if academic support were reading this they'd be like "doing your own briefs helps you learn," but I just didn't feel like me writing out the facts of the case instead of Quimbee was actually going to help me come test day. But to each their own. Another thing that I liked about Quimbee is that they have videos for everything. Some are animated that explains a topic, but my personal favorites were when they had an instructor just sitting there kinda making a YouTube video to explain a concept. I would watch these videos whenever I saw them pop up by a brief and also when I was studying before finals. If you're curious what these videos are like, they have clips on YouTube for free. What I like to do is at the end of the semester I'll pull up my outline while I watch the videos and then if there's anything that is mentioned on the video but I just forgot to put in my outline, I'll be able to fill the holes in as I go. When I was studying for finals, I would take a quiz after studying for a bit to test myself. They break down each book into sections, and then have like 5-7 subsections. There's a quiz for each subsection and then a "final quiz" for each section. With the classes that spanned two semesters, it'd typically work out to where like only 3 sections or so applied to what we had learned that semester. 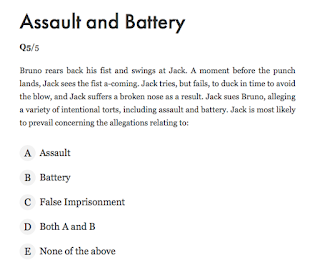 The quizzes range from easy true/false to whole paragraphs. The paragraphs seem a little ridiculous because they're so long just for one easy question, but that actually was how my professor's questions would be on the final. 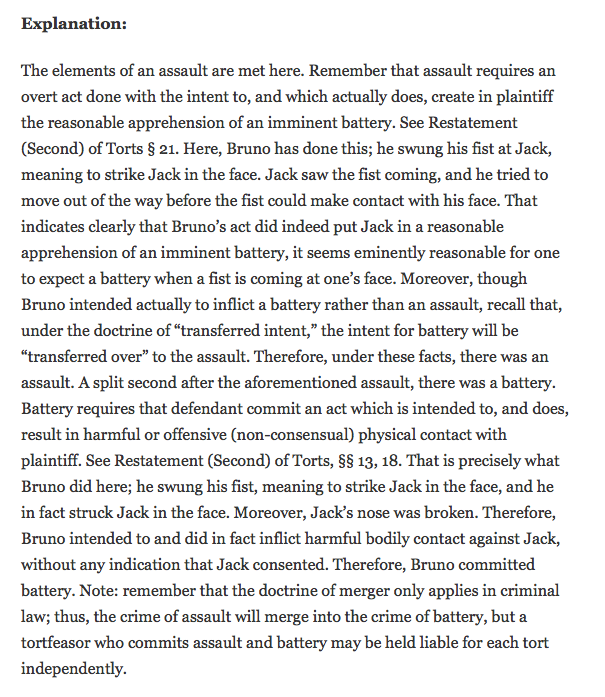 Here's what a question and then explanation look like. As you can probably tell, after I started using Quimbee I was in love. 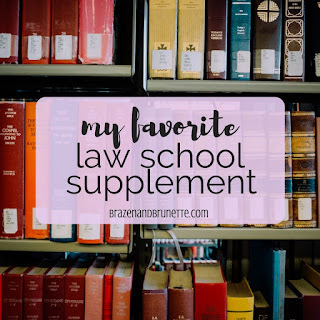 I felt like it helped make law school a tad easier, and that made it worth the price for me. I'm not going to say it helped me get the grades I did, because those grades were earned through lots o' studying, but it definitely helped me be better prepared for class. 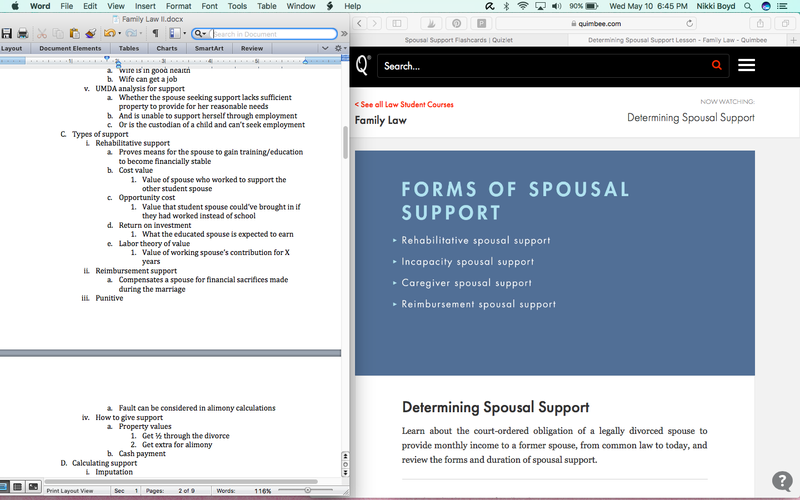 Usually what I would do is a split screen on my computer with Quimbee on one side having the case we're going over pulled up, with Evernote on the right for me to add notes, and my book out in front of me as a reference for my highlights. Sounds like a lot going on, but it really was a good system for me. Right after finals I decided to take a leap of faith and ask this major company if they'd be willing to work with a baby blogger, and to my surprise they were super nice and excited to work with me too! So from now until September 30th, you can use the code BRAZEN and get 10% off your first month! 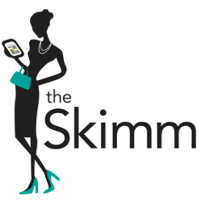 If you're not sure you'll like it, they also have a free trial that you could use to test out, and here's a post with my suggestion on how to optimize that. 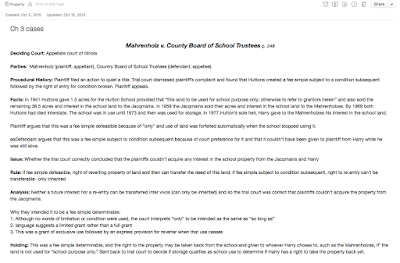 Do you find it easier to book brief rather than brief from cases by hand? For sure! I got down a good highlighting system so then I felt like pausing to write down the rule even though I'd just highlighted it with my rule color was just slowing me down. But I would pull up the Quimbee cases in class just in case. OMG thank you for the tip!! I just started using Quimbee and finding it really helpful. Have you tried their outlines? The sample looks like they are very straightforward and easy to understand. Hey Erica I'm glad you like it as much as I do! I actually haven't tried their outlines because they didn't have them my 1L year. If you end up using them, please come back and comment your thoughts on it so everyone can know! 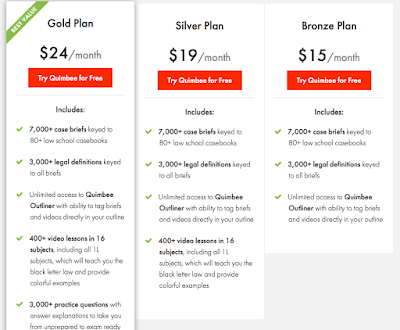 Would you recommend Quimbee for any year other than 1L? Yeah! I used it all of my 2L year! I wish they had tax because I could have really have used that last semester, but most of my 3L classes were not as typical law classes like banking and business entities so I couldn't use it.